Formulated with stabilized, ground, whole flaxseed high in Omega-3, using PureGlean technology to maintain full nutritional value guaranteed for 18 months— with added folic acid, Vitamin E, and Vitamin B-12. 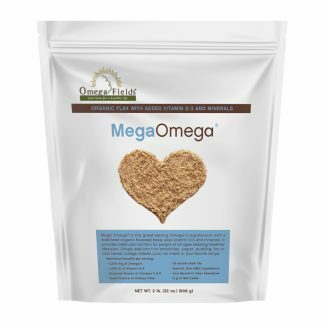 Omega Fields’ PureGlean Milling process delivers a more potent form of Omega Three Fatty Acids. Painstakingly perfected at a small, state-of-the-art mill in rural Wisconsin, the proprietary process ensures a powerful dose of Omega 3s every time you use an Omega Fields products. PureGlean milling process protects the Omega-3 oils in Omega Ultra Egg from oxidation and off-flavor development by naturally encapsulating flaxseed oils in their antioxidant-rich seed matrix. 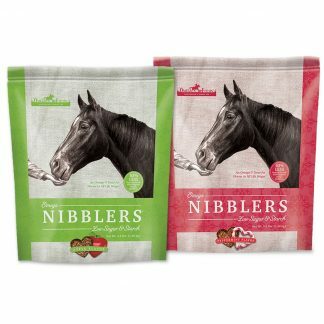 This protects feed palatability, thereby increasing feed uptake and enhancing Omega-3 incorporation into eggs. The Omega-3 supplement to promote Omega-3 enriched eggs, support strong shells and brilliant plumage for laying hens. Preserves egg flavor, aroma, and nutritional value. 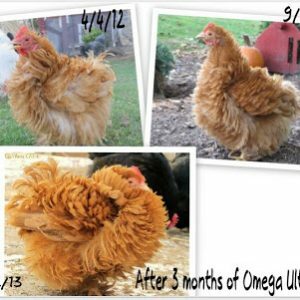 You can have confidence in the Premium, Human-Grade, Non-GMO, 99.9% Pure, Stabilized, Ground, Fortified Flax we use in our Omega Ultra Egg formula. PureGlean stabilization technology provides a stable, ground, fortified flaxseed composition as a rich source of Omega-3 in the diet. PureGlean stabilization technology includes the inclusion of B-6 and Zinc when the seeds are going through the grinding process. Flax seed contains a natural B-6 antagonist, so B-6 needs to be added to ground flax. B-6 and Zinc not only enhance the stabilization of the essential fatty acids, but also fortify the ground flax seed with the nutrients used by the body when flax seed is being metabolized. Omega Ultra Egg is designed to be added daily to layer rations or as a free-choice feed supplement. The stabilized, ground, fortified flax seed used in Omega Ultra Egg utilizes PureGlean stabilization technology. 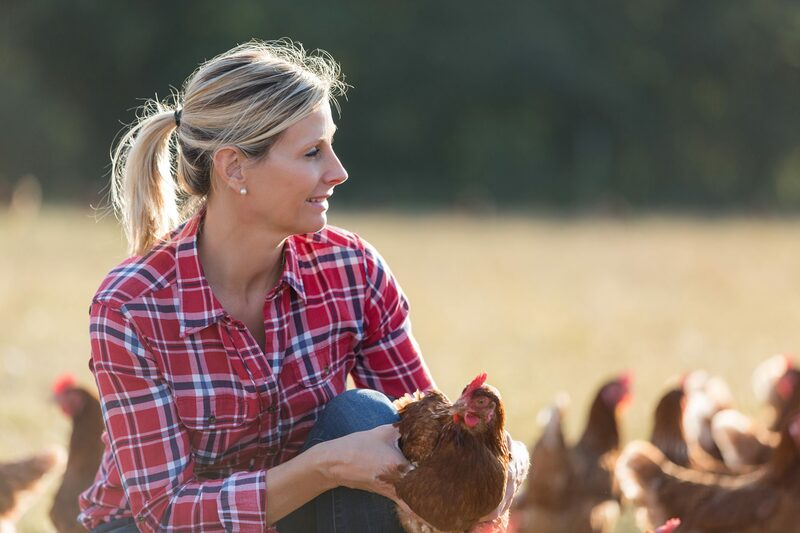 The powerful nutrients in Omega Ultra Egg are locked in and guaranteed stable for at least 18 months with no signs of rancidity or loss of nutritional value. Best if stored in a cool, dry place. The Omega Ultra Egg is easy to use. 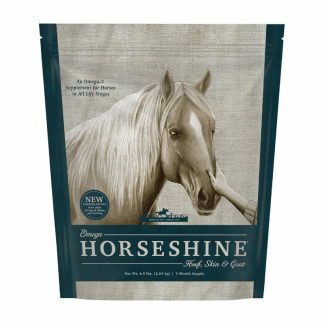 You just measure out the right amount (instructions right on the bag) and sprinkle it over the feed. The chickens love the taste of it. I had no problem getting them to eat it. 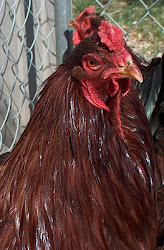 Their feathers are nice and glossy, their combs are bright red. Their egg yolks are a brilliant orange. I also think the egg color themselves have gotten deeper and richer due to the Omega Ultra Egg in their diet. The blues are bluer, the browns a deeper brown and the creams creamier. I also notice that their shells are appreciably thicker. I even dropped an egg in the run the other day and it actually bounced! How long will one 4.5 lb. bag of Omega Ultra Egg last? One 4.5 lb. 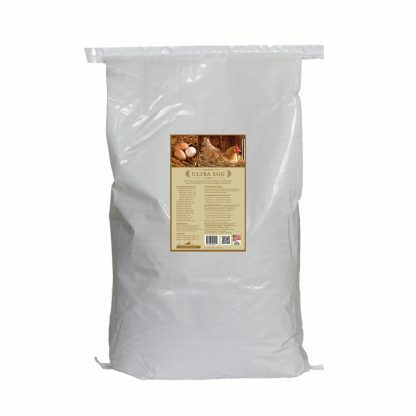 resealable pouch is approximately a one month supply for 10 chickens. How do I feed Omega Ultra Egg? 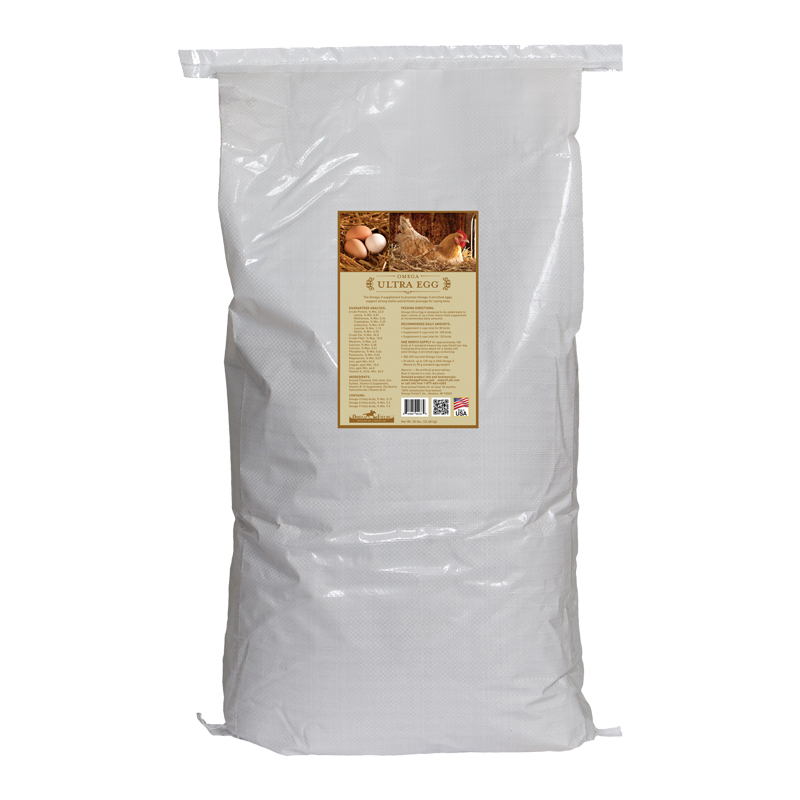 You feed Omega Ultra Egg by adding it daily to the top of your chicken feed. 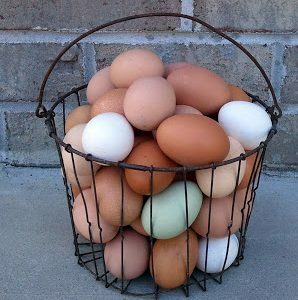 Each day when you collect your eggs simply add the recommended amount, per the number of chickens you are raising, around the edge of your feeder. 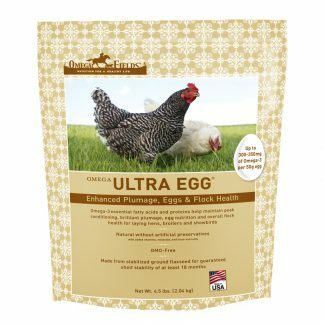 Would you recommend Omega Ultra Egg for hens to be shown in 4H at our county fair? Of course, Omega Ultra Egg will increase high quality plumage and overall appearance of the bird. 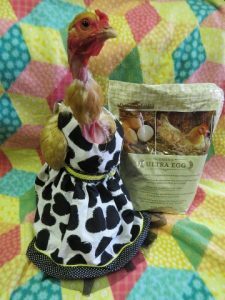 Omega Ultra Egg is the best supplement to help your birds WIN Best in Show! 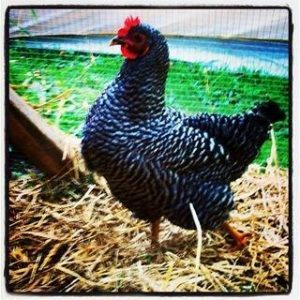 Will Omega Ultra Egg benefit the health of my laying hen as well? Omega Ultra Egg not only supports brilliant, high-quality plumage, it also improves laying rates and flock health. Besides increasing the Omega-3 content in my hens' eggs, what else will the product help with? 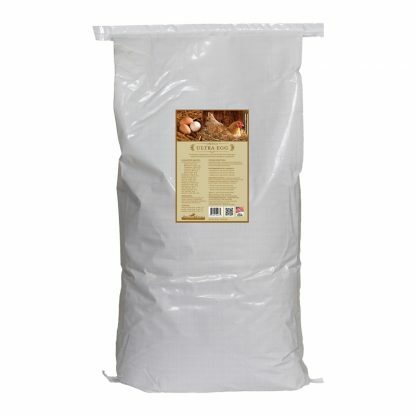 Omega Ultra Egg will also strengthen the egg shells, preserve the egg flavor, aroma and nutritional value. 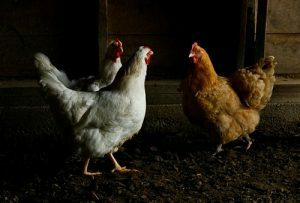 How long will it take when feeding Omega Ultra Egg to my laying hens before their eggs' Omega-3 level increases? 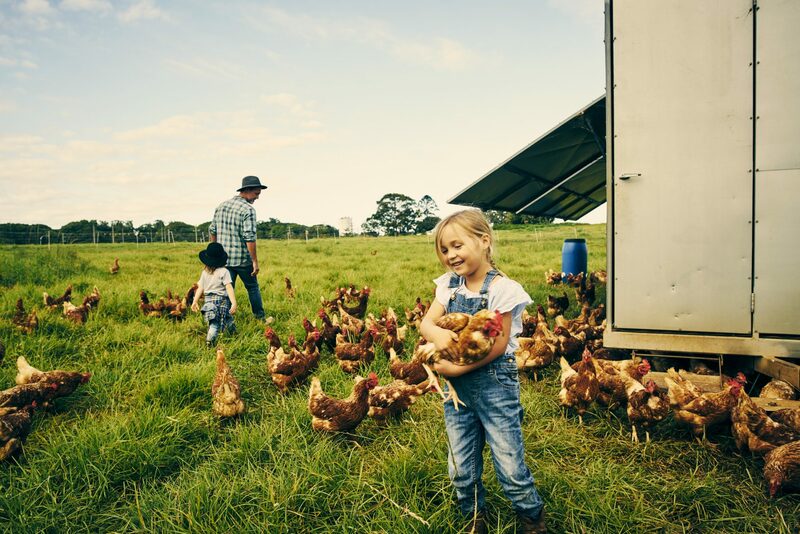 If you are supplementing your laying hens at the recommended daily amount, after 4 weeks, compared to a typical egg, the TOTAL Omega-3 in mg per 50g egg will increase from 40 mcg to 325 mcg and the TOTAL DHA would have increased from 15 mcg to 75-120 mcg. 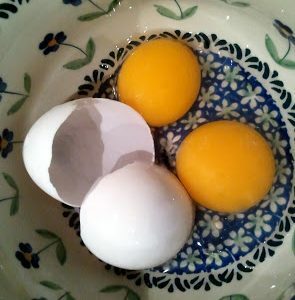 That is 8x more Omega-3 per egg after only 4 weeks of supplementing the laying hen! I love Omega Fields and use it in my diet everyday!!!! 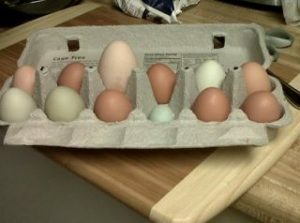 just now by Maren L.
Chickens Look Healthier and Eggs are Richer! 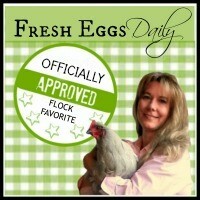 Omega Fields has helped my chickens look healthier and the eggs are richer tasting. just now by Mark C.
Our ” ladies” love Omega Fields added to their crumble. It gives them beautiful plumage and it gives us healthier eggs! 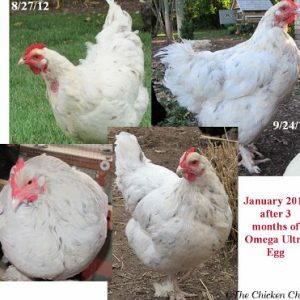 just now by Erin S.
I have been feeding Omega Ultra Egg to my home flock of about 30 hens for just over a month now and I am amazed by the results. The hens’ feathers look brighter and have more sheen, and their egg shells are stronger and more durable. The eggs taste even better than before, and they were already good. I am happy knowing that my family and my customers are eating Omega-3 enriched eggs. Omega Ultra Egg is easy to use—you just top-dress the feed you are currently using. There is no waste because the hens love the taste and eat every bit of it up. Pretty Peggy is proud to be an official Omega Fields® Ambassador. 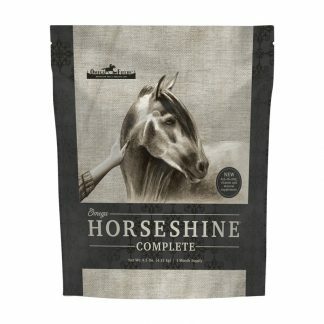 Omega Horseshine & Omega Ultra Egg works miracles for coats, hooves, and plumage!! Had To See To Believe – And I Did! My chickens have laid the biggest and the smallest eggs I have ever seen I do believe the large is due to your Omega Ultra Egg that I use. I really have seen a difference in the size of the eggs and even the amount. 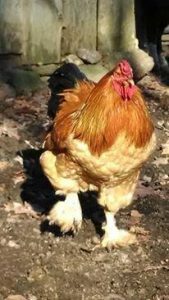 It’s freezing weather conditions here and the chickens usally lay less but not my chickens and I sure its because of the chicken supplement- Omega Ultra Egg. just now by Pam R.
Omega Ultra Egg is the best supplement to help your Buckeyes WIN Best in Show! Buckeyes really benefit from Omega-3 supplementation and Omega Ultra Egg™ is the best product on the market for getting greater amounts of Omega-3 into your eggs,” said the ABC’s Co-Founder, Jeff Lay. “It’s easy to use – Buckeye chickens love it – and the effects are near immediate. Omega Ultra Egg is the best supplement to help your Buckeyes WIN Best in Show! It will also improve laying rates, flock health, and overall egg quality.